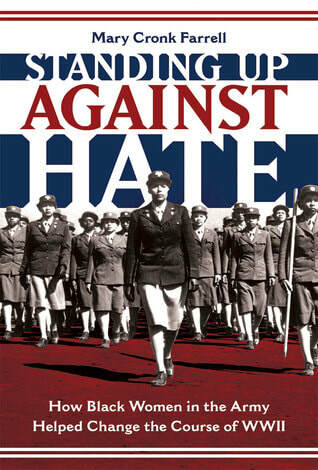 Standing Up Against Hate tells stories of the African American women who enlisted in the newly formed Women’s Army Auxiliary Corps (WAAC) in World War II. They quickly discovered that they faced as many obstacles in the armed forces as they did in everyday life. However, they refused to back down. They interrupted careers and left family, friends, and loved ones to venture into unknown and sometimes dangerous territory. They survived racial prejudice and discrimination with dignity, succeeded in jobs women had never worked before, and made crucial contributions to the military war effort. "Fannie Sellins was a labor organizer -- and from all accounts, she was an exceptional one. But she paid with her life." When immigrant women earning poverty wages in St. Louis sweatshops voted to strike, Fannie Sellins was there. When destitute coal miners dared to unionize in West Virginia, Fannie was there. When hired gunmen threatened, beat and shot miners walking the picket line in Pennsylvania, Fannie was there. Mine operators would have paid any price to get rid of Fannie. They threatened to kill her, but Fannie refused to go away. The United Mine Workers Journal called her an "Angel of Mercy," who went into the miners' homes, encouraging their wives and caring for the sick and dying. "Whenever there was a strike, with its inevitable suffering, Mrs. Sellins was found, caring for the women and children through the dark days of the struggle." Fannie Sellins (1872–1919) lived during the Gilded Age of American Industrialization, when the Carnegies and Morgans wore jewels, and their laborers wore rags. Fannie dreamed that America could achieve its ideals of equality and justice. She sacrificed her life for that dream, dying on the picket line in a hail of bullets. At long last, the extraordinary and long forgotten story of Irena Sendler—the woman who took staggering risks to save 2,500 children from death and deportation in Nazi-occupied Poland during World War II—now adapted for a younger audience. Irena Sendler was a young Polish woman living in Warsaw during World War II. With guts of steel, Irena crossed the walled Jewish ghetto with babies in toolboxes and coffins, snuck them under overcoats at checkpoints, and slipped them through the dank sewers. Then she convinced her friends and underground resistance network to hide them. ​In this heroic tale of survival and selflessness, Tilar Mazzeo and adapter Mary Cronk Farrell share the true story of this bold and brave woman, who risked her life to save innocent children from the horrors of the Holocaust. Buy now! Nine hours after the Japanese bombed Pearl Harbor, they attacked American bases in the Philippines. One hundred American military nurses stationed at those bases were hit with an on-onslaught of wounded and dying men--but the women had never been trained in combat medicine! -Jefferson Cup Honor Book for Older Readers, Virginia Library Assc. They had deployed to the Philippine Islands to enjoy a life of ease in a tropical paradise. But now, Army and Navy nurses rose to the occasion and learned combat nursing while bombs exploded around them. When American forces retreated into the jungle, the women went ahead and set up combat hospitals. They were the first large group of American women ordered into combat. When American forces eventually surrendered on Bataan and Corregidor--the women were captured by the Japanese and 77 of them spent three years in prison camps before being liberated by General MacArthur's men in 1945. The last of the nurses alive, Mildred Dalton Manning, died this past March at age 98. 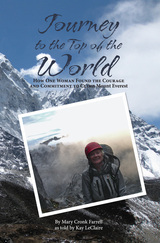 I interviewed her for the book before her death. My research also included transcribed interviews with a dozen other nurse, interviews with family members. PURE GRIT tells the story of these brave women's survival through diaries, documents and rare historical photos. This little ﻿known ﻿story of courage and sacrifice will renew your faith in the resilience of the human mind, body and spirit. Download Teacher's Guide relating PURE GRIT to Common Core Standards. "The eastern sky turned black with smoke. From the hospital windows, Rita watched as fire blazed from barracks and hangars. American B-17 bombers and P-40 fighters lined up on the tarmac burst into fireballs, igniting grass and trees surrounding the air field. Three P-40 fighters rose from the inferno, only to be shot from the sky. Nurses could barely comprehend the bombings before waves of Japanese Zero fighter planes zipped in. They darted in and out of the columns of smoke, their machine-guns strafing Clark Field—virtually unopposed. Stotsenberg’s few ambulances brought the first wounded men, jolting Rita and the other nurses into action. The bombardment had spared them, but its aftermath soon filled the hospital with hundreds of wounded and dying men. Rita had no preparation for such slaughter. In fact, the Army nurses never had any training for combat nursing. Exciting, riveting Idaho history - that's what you will find in "Fire in the Hole." Written for young adults, this first book by former journalist Mary Cronk Farrell tells the story of the violent clash between union and "scab" silver miners in northern Idaho a century ago; the appeal is strong for readers of all ages. Historical fiction at its best, the book sees the miners' wrenching struggle through the eyes of 14-year-old Mick Shea, son of one of the radical and frustrated union employees. The story poses immense problems that build and build through rapid, page-turning sequences. For certain, you will learn a huge amount about a true, almost unbelievable standoff between African-American federal troops that were called in and the striking men who mined for silver in the Coeur d'Alene area. You will empathize with a sensitive boy whose entire family is faced with deplorable treatment and even death itself as they battle for what they believe are their rights - the antagonistic father fighting for more money from the mine owners - the son fighting for his right to an education and a chance to choose a life outside the mines, which he has come to hate. Click here for more information on FIRE IN THE HOLE! 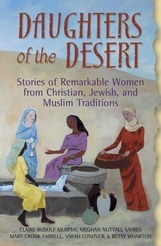 Click on book cover for details on each book.